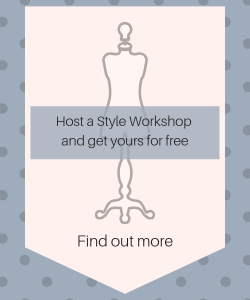 Get energized and inspired with these 2-hour style workshops with 6-12 of your friends or family. 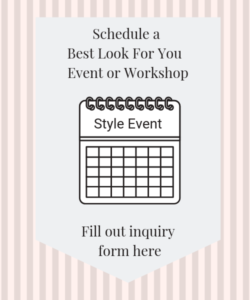 Host a workshop in your home or neighborhood clubhouse or my home in Milton, Georgia. This is an energetic, interactive event for neighborhood clubs, Mom groups, bible study groups, friends and family. * Includes the same 3 e-Books I offer for Personal Style Appointments. Wardrobe Capsule: Mix and match garments put together to maximize the number of outfits with fewer pieces, saving you time, money, and space. Confidence in shopping and creating outfits in colors and combinations perfect for your coloring.